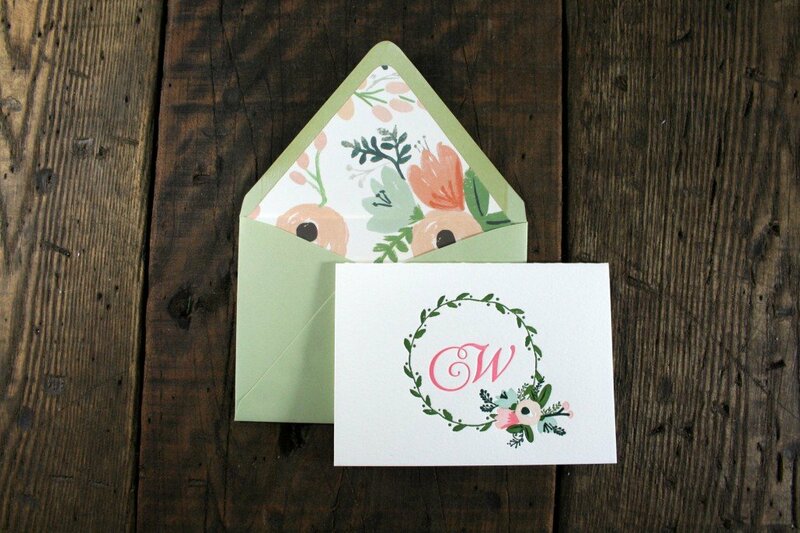 Inspired by decorative floral wrapping paper from Rifle Paper Company, we created this set of gorgeous six-color (!) 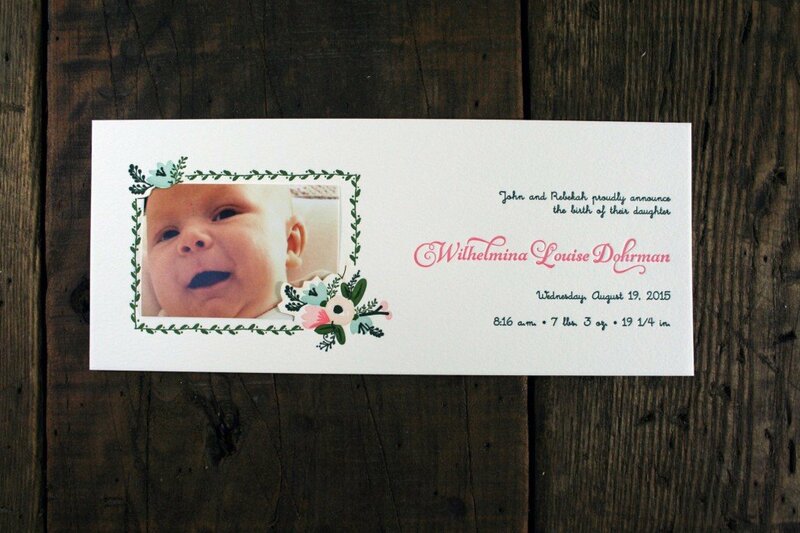 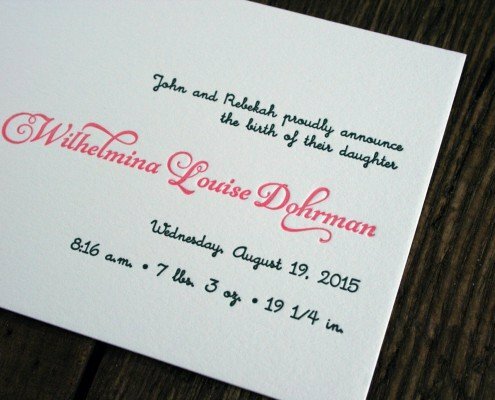 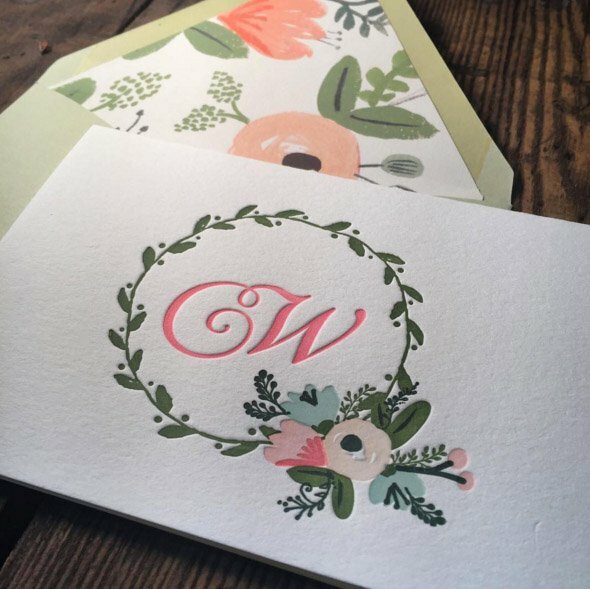 birth announcements and matching monogram thank you cards for baby Wilhelmina. 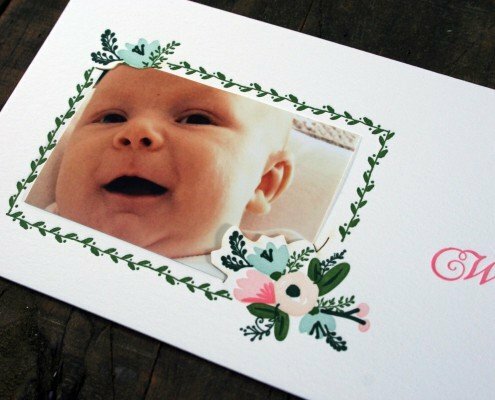 Mina’s announcements are a t-length size and feature a gorgeous floral border and laser-cut corners for tipping in her tiny photograph. 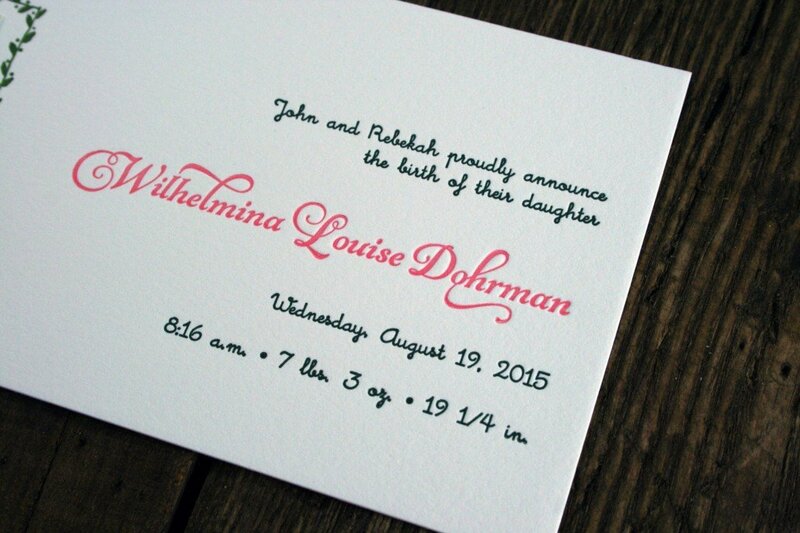 A fun combination of script fonts in dark green and bright pink were used for her name and announcement details. 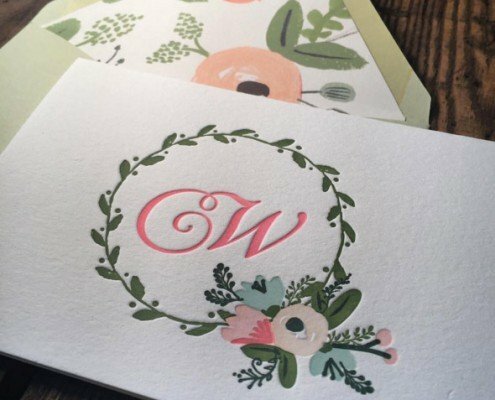 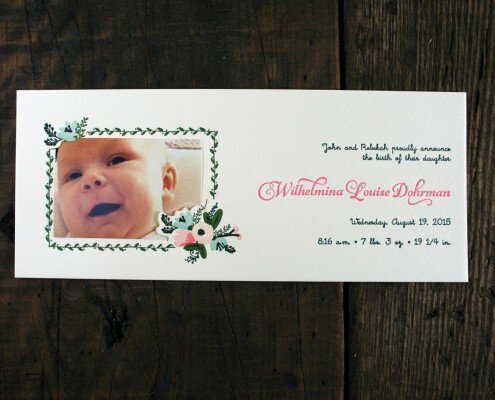 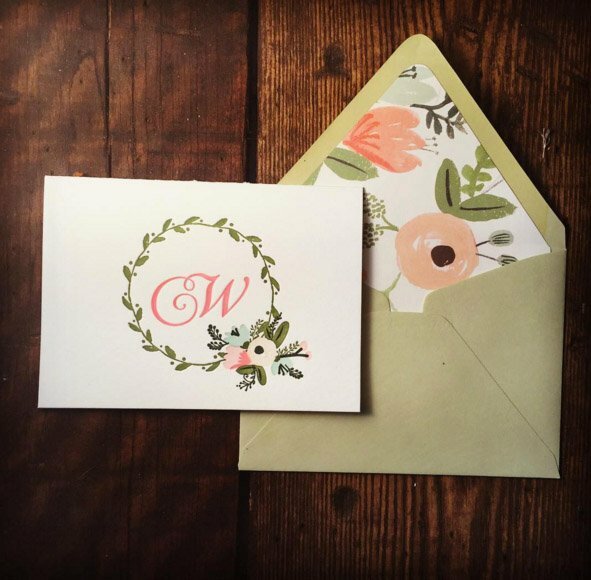 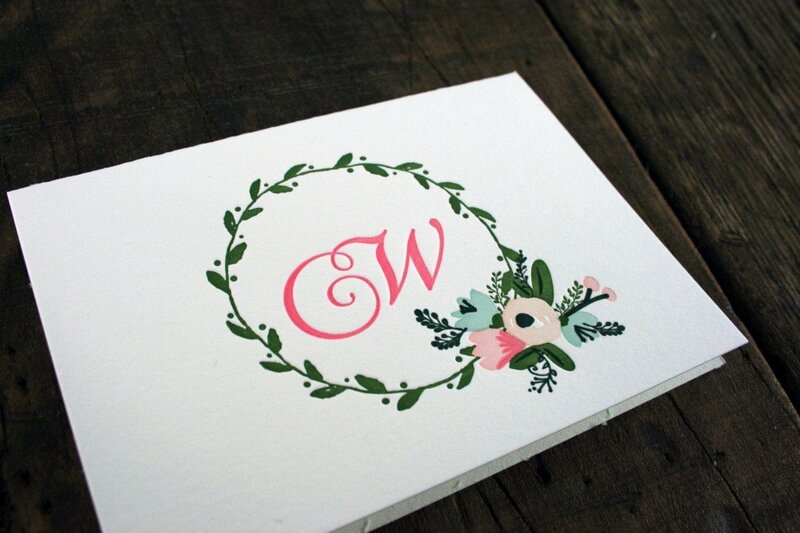 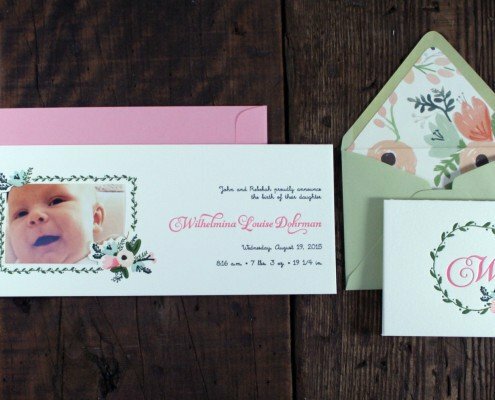 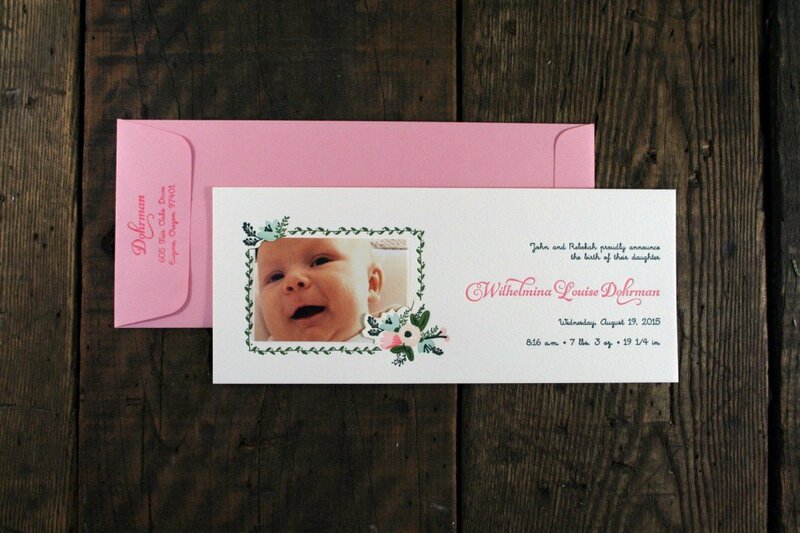 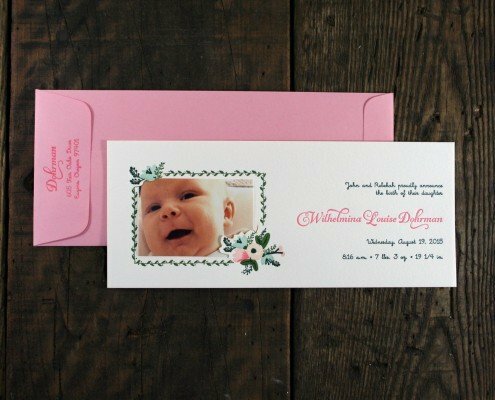 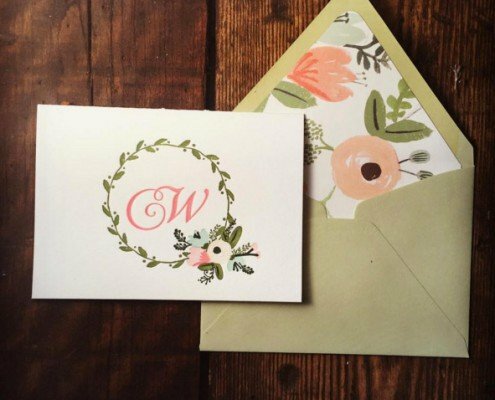 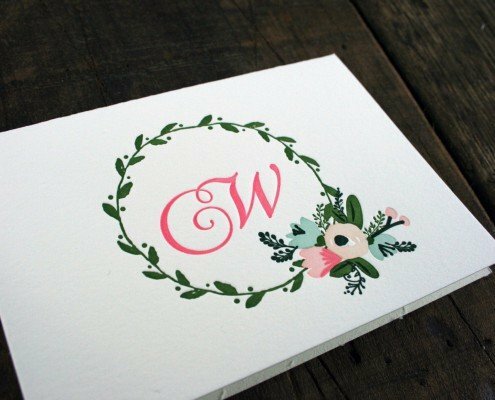 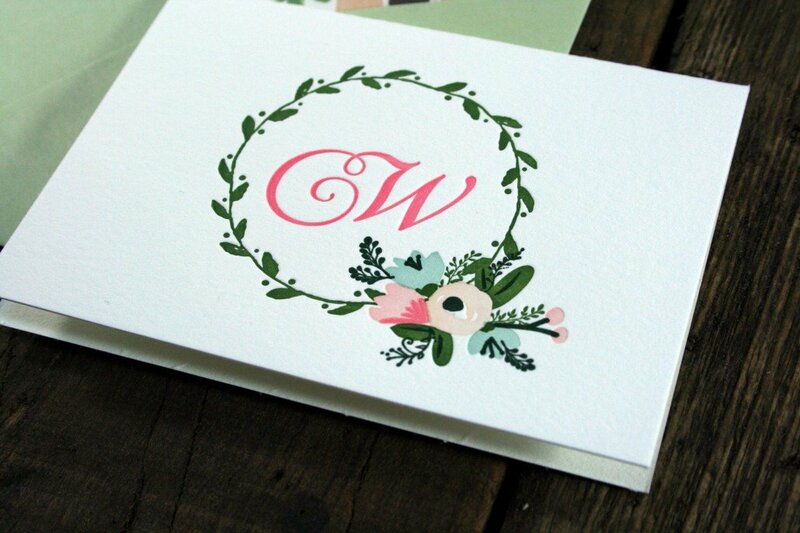 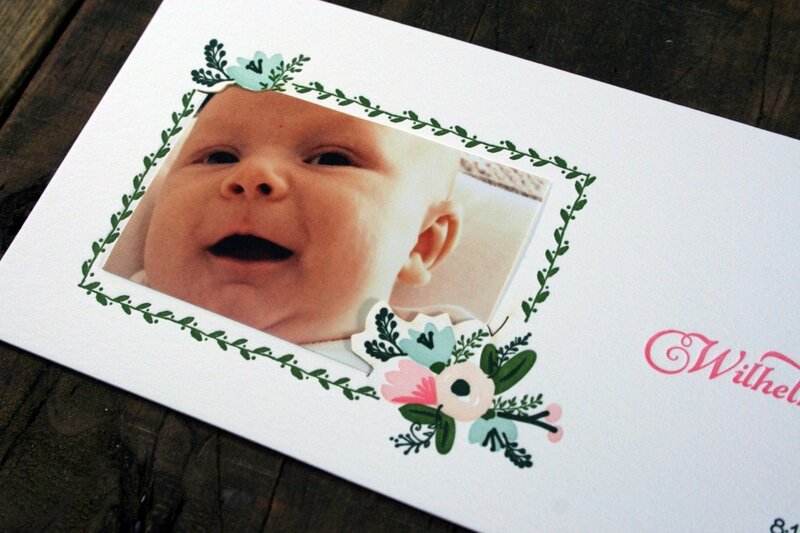 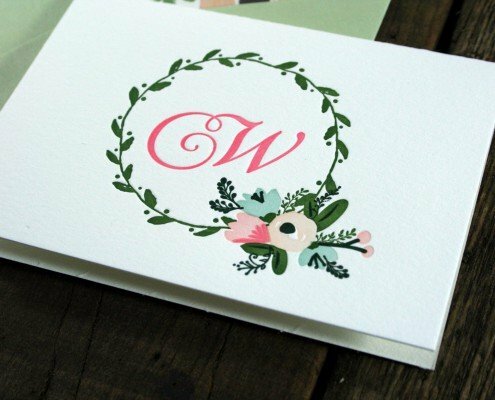 The matching thank you cards feature matching floral border elements and her monogram initial on the front. 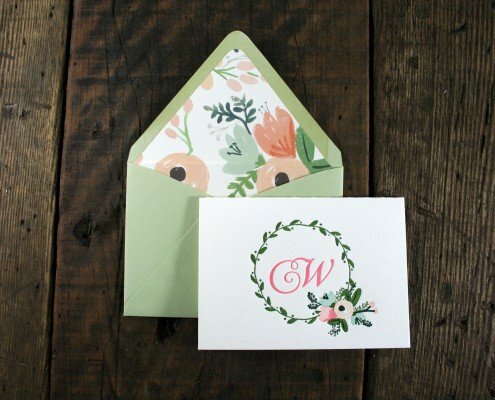 The cards are blank inside and come with matching light green thank you card envelopes that are each lined with the inspirational paper we found from Rifle.